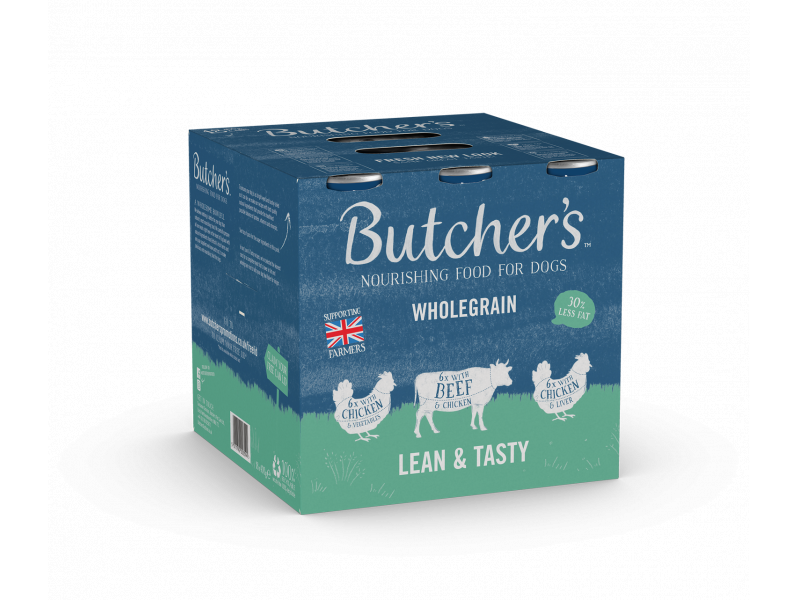 Lean & Tasty recipes, Butchers selected the leanest cuts for a complete meal that’s lower in fat and wholegrain rice to help your dog feel fuller for longer. With Chicken & Vegetables: British & Irish Farmed (Chicken 21%, Beef 19%), Cooked Wholegrain Rice 4%, Carrots 4%, Peas 2%, Maize Flour 2%, Minerals. With Chicken & Liver: British & Irish Farmed (Beef 19%, Chicken 15%, Liver 6%), Cooked Wholegrain Rice 4%, Carrots 4%, Peas 2%, Maize Flour 2%, Minerals. With Beef & Chicken: British & Irish Farmed (Beef 25%, Chicken 15%), Cooked Wholegrain Rice 4%, Carrots 4%, Peas 2%, Maize Flour 2%, Minerals. 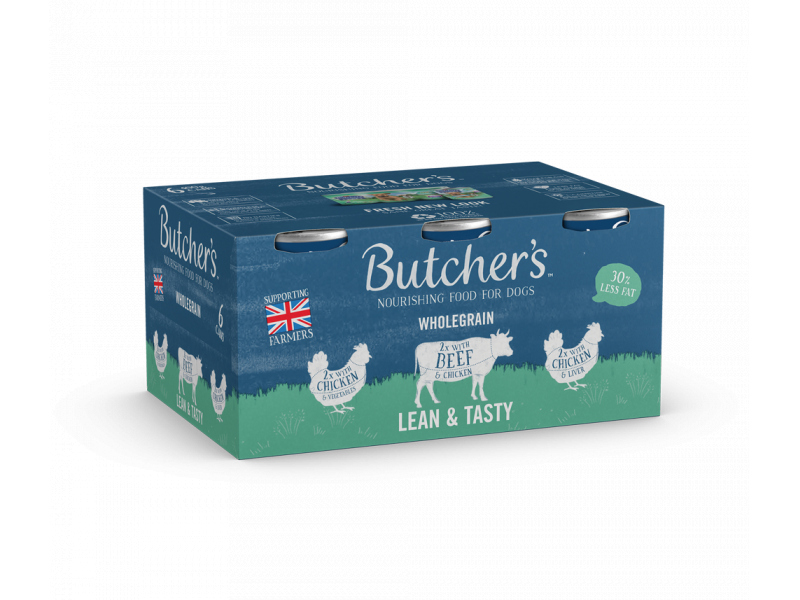 There are currently no questions for Butchers Lean & Tasty - be the first to ask one!